Debt consolidation can be a great solution for financial stress, but you want to be sure you’re choosing a good debt consolidation company. Here’s how to make sure you have a great provider for your consolidation loan. The first step to undertaking the appropriate research into debt consolidation companies is to understand what debt consolidation entails. It is the process of taking out a large loan to pay off multiple smaller debts, such as credit cards and personal loans. Reputable debt consolidation companies will be registered with one or more industry associations, such as the Australian Finance Industry Association, Financial Counselling Australia, and a number of state-specific associations. Aside from associations, third-party websites allow consumers to leave unbiased reviews, including airing grievances.  You can browse websites such as Product Review, or Google “Deb Negotiators reviews”. Do keep in mind that anyone can write reviews, whether they are genuine, accurate, or neither; so take reviews with a grain of salt. Asking friends, family and colleagues for personal recommendations is another option. You may be surprised how many people have looked into or used debt consolidation services. Make sure that the debt consolidation companies you are considering are licensed by the Australian Securities and Investments Commission (ASIC). If a company isn’t licensed, then they are operating illegally in Australia. You can check ASIC’s Professional Register here. If a company is advertised as being not-for-profit or non-profit, they will likely be listed on the Australian Charities and Not-for-profits Commission (ACNC) Register. Some, however, may not be registered with the ACNC, but should provide you with documentation proving their status upon your request. The goal of taking out a debt consolidation loan is to not only make repaying your debts more manageable but also to save money. You should compare the interest rates and fee structures of the consolidation companies you are considering. Other information that you should ask prospective companies about, including the loan consolidation process and loan term, as well as the total cost of the refinance. Claiming to be able to help you no matter how dire your financial situation. If, when you are speaking to a debt consolidation company, any of these warning signs appear, be wary of the company and ensure you carry out your due diligence to avoid potentially serious consequences down the track. Once you have carried out your research and collected all of the information you need to know, it’s time to weigh up the reviews, rates and other details to make a decision. You can be reassured that by making an educated decision, you’ve undertaken the best practice in choosing a great debt consolidation company to help you manage your debts.